Using Note Anytime you can jot down notes via a pen tool by using your finger to write out words, or you can type out text fields. You can even convert your handwriting into text if you’d like. So back to that field trip or realtor: on these trips you would need to take photos right? If you had just a clipboard with you then you would jot down notes and then you would take photos using your phone. Later on these notes and photos would have to come together via a computer application if you wanted to share them. Note Anytime makes all of this much easier. 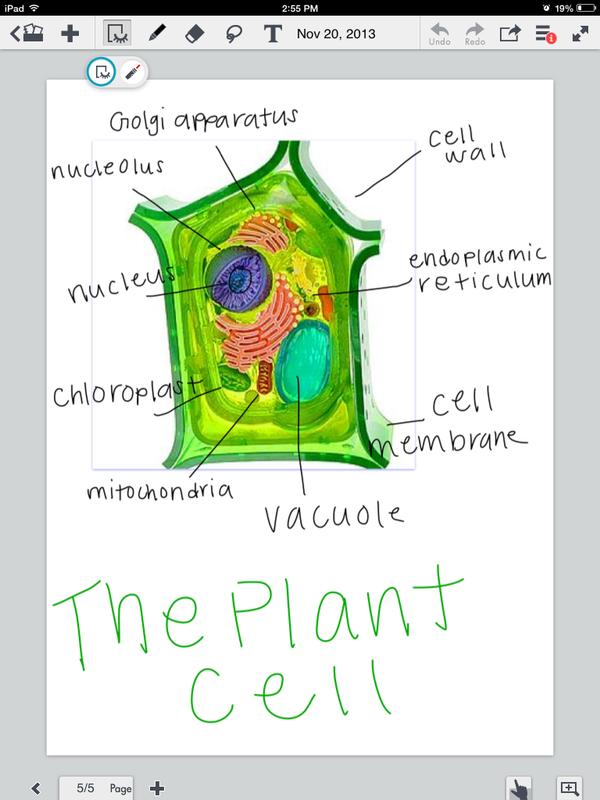 If you want to take a photo and add it to your notes, its as easy as you can imagine. Photos, websites and items can all be added to your notes. Not to mention that items can be re-sized and layered, images can be cut via a lasso tool and moved around, and important notes can be highlighted. 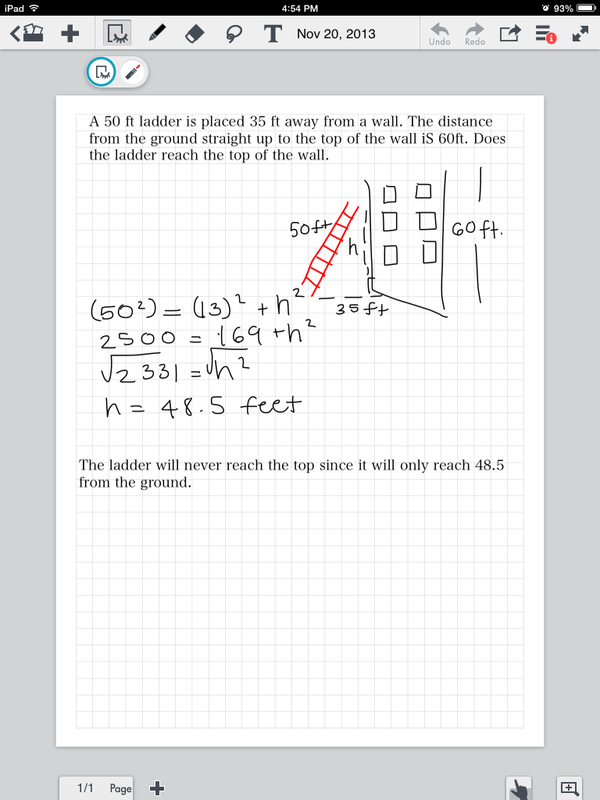 If you’re using your iPad on a projector you can even highlight important information with the laser tool. This laser tool adds a temporary “ink” around the things you circle, which quickly disappears. So whether you’re on a field-trip taking notes, or in the classroom learning, or even in the classroom teaching, this app does it all. In addition to all of the great features that Note Anytime comes with, it also provides its users with free cloud storage (2GB). This insures that all of your notes are always saved and backed up to the cloud in case of an accident. Your iPad could spontaneously combust in the middle of note taking and your cloud-saved data would still be safe. 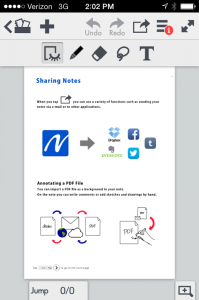 Notes can also be exported to PDF, saved to the photo album, emailed, shared or printed. What’s even cooler about this app is that it always saves notes in HD. You could re-size your notes down to a notecard or size them up to the side of a truck and they would still look amazing. 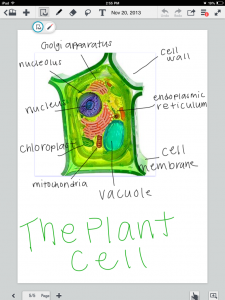 When taking notes you can also “zoom” into a certain section. This lets you hand-write notes or draw things at a bigger scale so you can be precise, and is then sized appropriately into the page. Right now every time you scroll to a new page, that page is blurred for a slight amount of time. I figure this is because the app is working in such high resolutions that it takes a while to load everything properly. However, this could be combated if the app always had the next and previous pages available. I have a feeling that mobile devices might not be powerful enough to have multiple HD pages ready to edit, so it’s not really something to blame on the app. Even if this can’t be fixed it’s not a big issue. If you regularly take notes then this is a must have app. 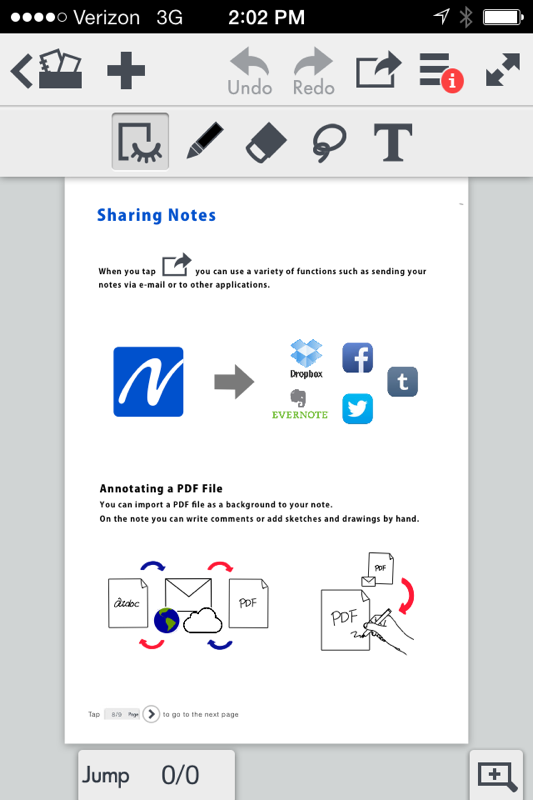 The fact that it exports into PDF, works on almost any device, and offers cloud storage is really great. Note Anytime blows the competition out of the water. Rated: 4 by 508 customers.